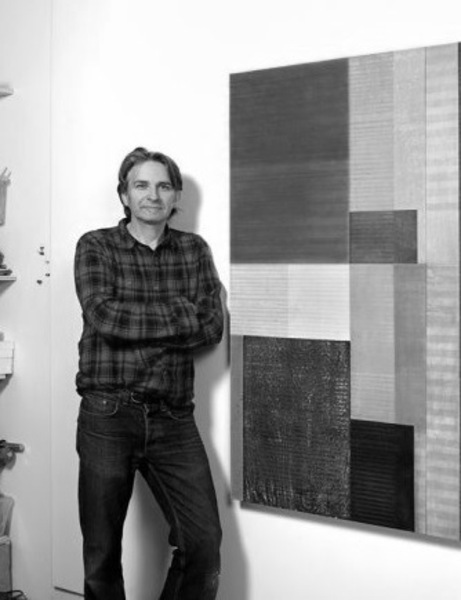 Paul Furneaux is an Edinburgh-based artist and printmaker, widely recognised for his inspired use of traditional printing techniques. 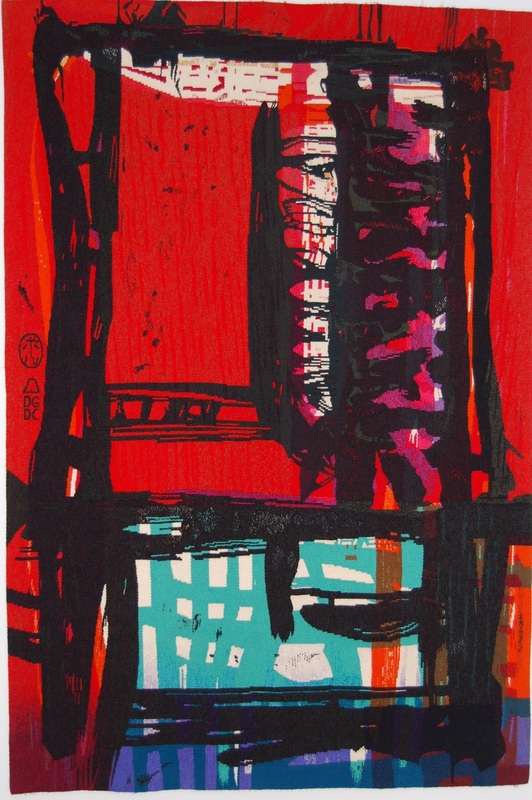 After completing his degree in Drawing and Painting at Edinburgh College of Art, Furneaux was awarded the Alastair Salvesen Travelling Award, as well as the Monbusho scholarship, which allowed him to travel to Japan and train in local printmaking techniques, focusing on Japanese woodblock printing. The artist then embarked on a Master’s degree on the subject and has continued exploring these techniques since then, which has led his work to develop in a contemplative and semi-abstract way. For his collaboration with Dovecot Studios, three versions of the same print were selected and the weavers worked with all three to create the finished tapestry, Inner Landscape, which bears aspects of each one of the versions and was completed in 2003. Furneaux has travelled widely and exhibited internationally.